Keith has been entertaining audiences in the UK and around the world for over 60 years. He also climbed the executive ladder and was Vice President of Export Sales for the Hammond Organ Company, Chicago, USA and Managing Director of Hammond Organ (UK) Ltd. He has made many Hammond recordings including ‘Hammond Showcase Revisited’. Keith was also Nigel Ogden’s studio guest on The Organist Entertains recalling his experiences promoting the Hammond organ. 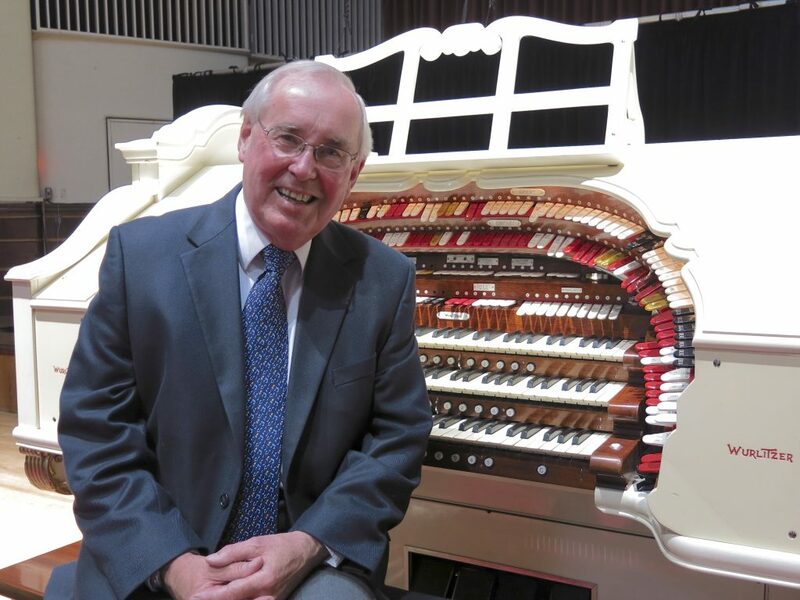 A new CD featuring Keith playing the Compton Christie organ in concert at Ossett Town Hall ( ‘Any Other Business’) was released in August 2015. Keith’s ‘easy on the ear’ playing style is very popular on the concert circuit and his shows often include musical memories and anecdotes of the famous names in the organ world with whom he has been associated. He is committed to the preservation of theatre organs and is a past chairman and musical advisor to the COS.
Keith and his wife Helene live in the Cotswolds where, for many years, he ran a busy piano and musical instrument shop in Cheltenham, Gloucestershire.